Not to be confused with Cannonball. Kannonballs are large cannonball objects that appear in Donkey Kong Country 2: Diddy's Kong Quest and Donkey Kong Land 2, as means of activating a kannon to blast Diddy and Dixie Kong up to a Bonus Area. It also has a side use for defeating enemies, including stronger ones suc as Zingers, Krunchas, and Klingers. Kannonballs also act as a stage hazard, because the Kannon enemies fire an indefinite number of them. Unlike Barrels, the fired kannonballs cannot be jumped on, as these objects injure the Kongs upon direct contact. Kannonballs, including spiked ones, are also shot out from Kaptain K. Rool's Blunderbuss during both fights in K. Rool Duel and Krocodile Kore. As K. Rool is vacuuming them, the Kongs attack him by throwing the kannonball back into his vacuum. By doing so, Kaptain K. Rool's blunderbuss backfires and he blasts out the kannonball. In Donkey Kong 64, a single, very large kannonball in Gloomy Galleon near the entrance/exit. The player must have Chunky Kong lift this kannonball and bring it to a nearby kannon; once the kannonball is brought to this kannon, it will activate it. Unlike their previous appearance, kannonballs explode if they hit into something. Using the kannon, the player must use it to shoot several moving targets in the room they are in, with a limited amount of time and kannonballs for ammunition. If player hits all the targets with kannonballs, they will gain a Golden Banana. 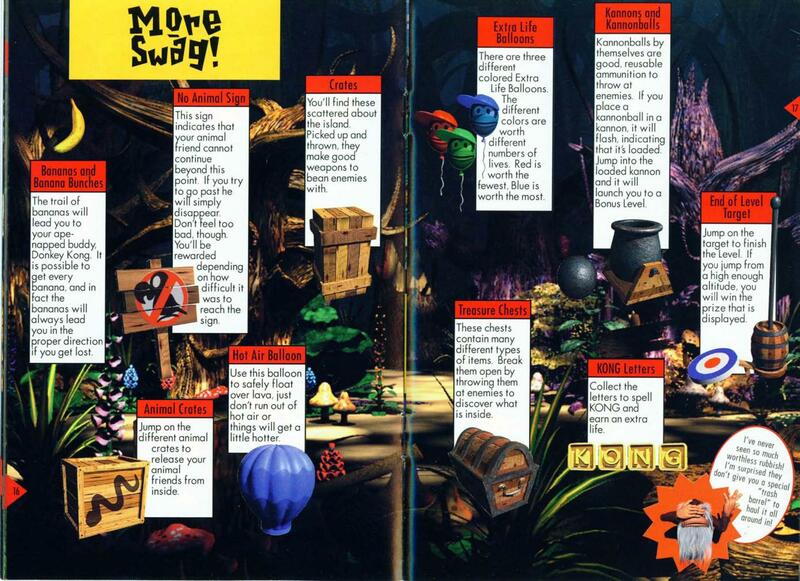 ↑ Donkey Kong Country 2: Diddy's Kong Quest instruction booklet, page 17. This page was last edited on April 23, 2019, at 21:34.